I’m going to try simultaneous set-in sleeves for this baby. I just need to review the cables, swatch a bit more, plan the neck and sketch things out. I’ve never made fingerless mitts for me, and you know? I want some! (Sometimes my hands get cold in the morning while I’m wasting time online, and I don’t really want to turn on the heat.) After knocking out two sweaters I want a quick project, and I have some Malabrigo, so I’m going to do up some Trenza mitts. On another note, the March sock class is full, and the April is getting filled up! I’m very excited as I have some repeat students. 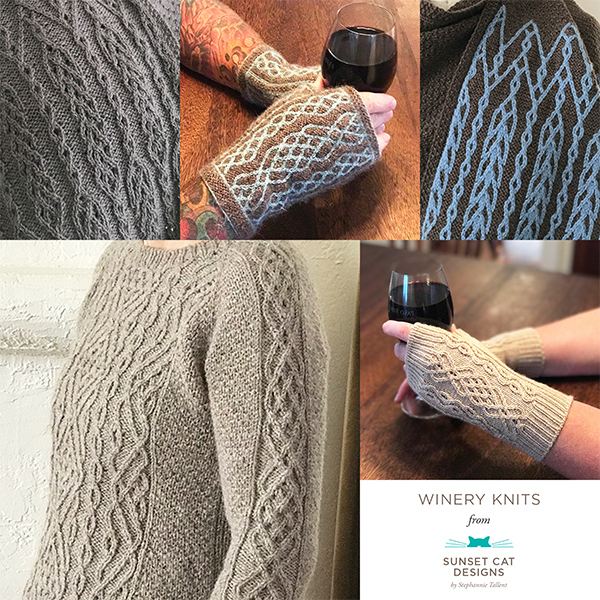 Apparently some people have asked Cathy about more sweater classes so I’m planning on getting her some possible dates for another raglan class as well as a top down, set-in sleeve class. Previous post: Orsino is done!